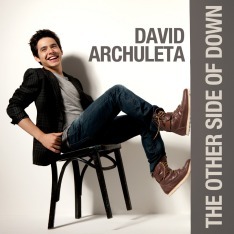 Being the fan that I am, I want to see and hear anything that has to do with David Archuleta. When I found out he was going to be appearing with Miley Cyrus on Hannah Montana, of course I had to watch. So what if I am a 45 year old woman with adult children, I am watching!! Well, I am so glad I did. We all know what a tremendous singer David is, but he can act too! He really is multi-talented. Many of you may have seen him when he did an episode of iCarly (of course I watched that one too). But on Hannah Montana we see a side of David that is really very entertaining. He is quite funny, making a few one liners that are most amusing. There is even a reference to David Cook that is just so cute. David plays himself, and shows the audience what a sweet and charming young man he is…of course we already knew that! Now many other people will get the chance to see that as well , especially since Hanna Montana is hugely popular. I am sure David will be winning over many new fans with this appearance. The duet he sings with Cyrus is catchy and infectious. This appearance was a smart move for David and can only help his career. I hope you will all get a chance to watch it. Here is the link for those of you who want to see what I am talking about! I couldn’t resist the sneak preview either! I think David and Miley’s voices work very well together in the song, “I Wanna Know You”. I hope it will be available on iTunes soon. The Hannah Montana show airs tomorrow, right? I’ll be ready to record it, as I record everything David does on television! haha! Oh Shoot! When I your post I thought I had missed David on Hanna Montana but I think I still have a chance to catch it if it’s tomorrow!!! I’ll look for it. By the way… I think Miley sounds better singing with David than she ever has before.